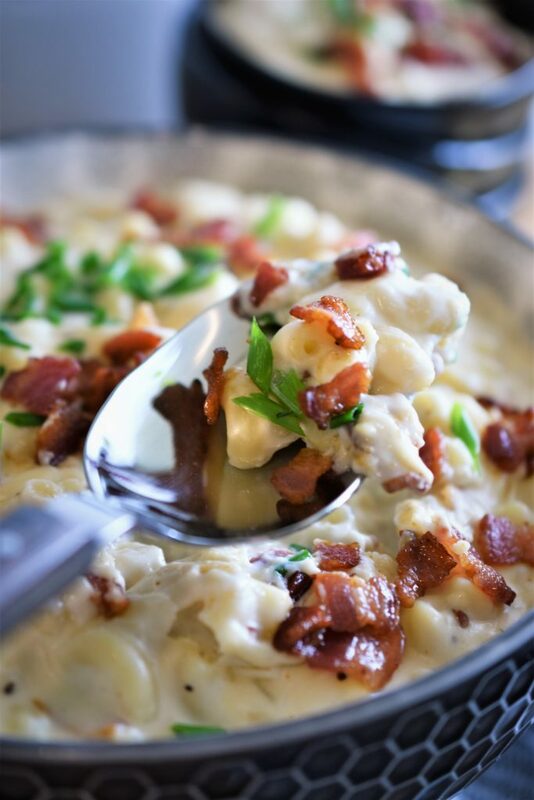 Smoked Gouda & Bacon Macaroni and Cheese | Recipe For A Party | Life is a Party, So Celebrate! Macaroni and cheese is certainly the ultimate comfort food, at least in my book. I have made it for so many years and I’ve served it to so many party guests, it’s definitely a crowd-pleaser. I’ve served it as a side dish and I’ve served it in small ramekins & glasses as an appetizer at cocktail parties. 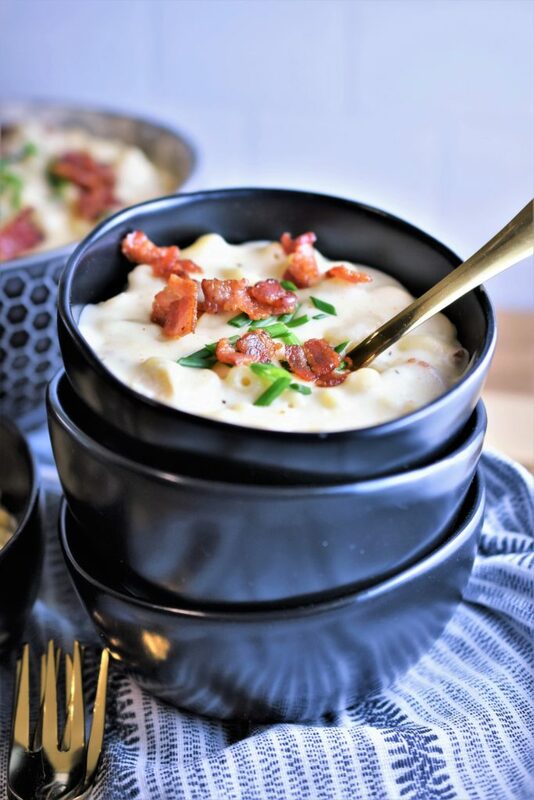 My new recipe for this creamy smoked Gouda & bacon macaroni and cheese is really off the charts, I have to say that it’s truly the best macaroni and cheese I’ve ever made. 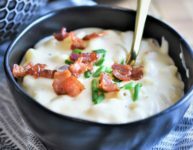 The smoked Gouda brings a new depth to this American favorite and adding bacon only proves that you can improve on a classic. Creamy, velvety, smoky and luscious…words to live by. 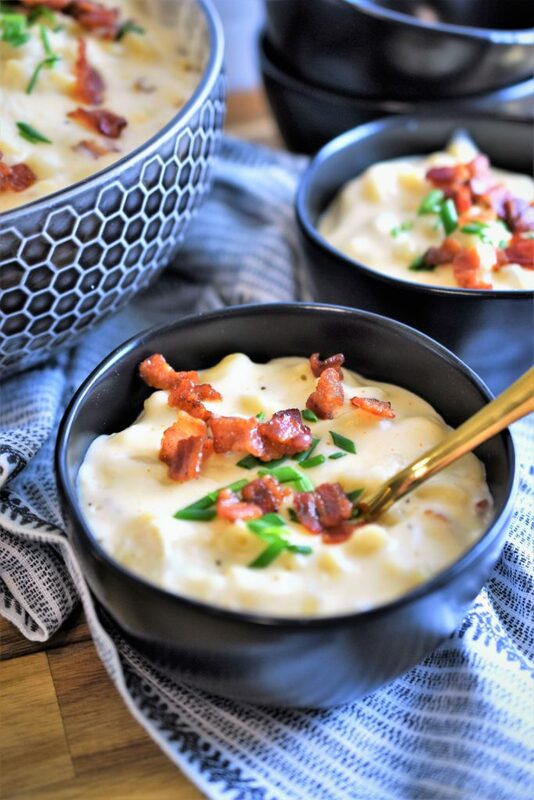 Not just for parties, this makes a delicious family dinner for any day of the week…especially on Mondays, I don’t think I’ve seen anyone eat macaroni & cheese with a frown on their face. 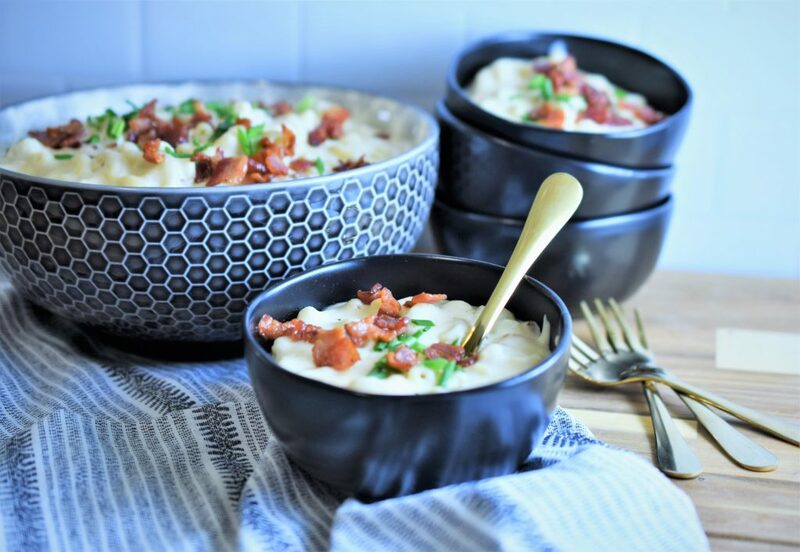 Reserve a little crisp bacon to garnish the top…the crunch with the creamy pasta is insane! 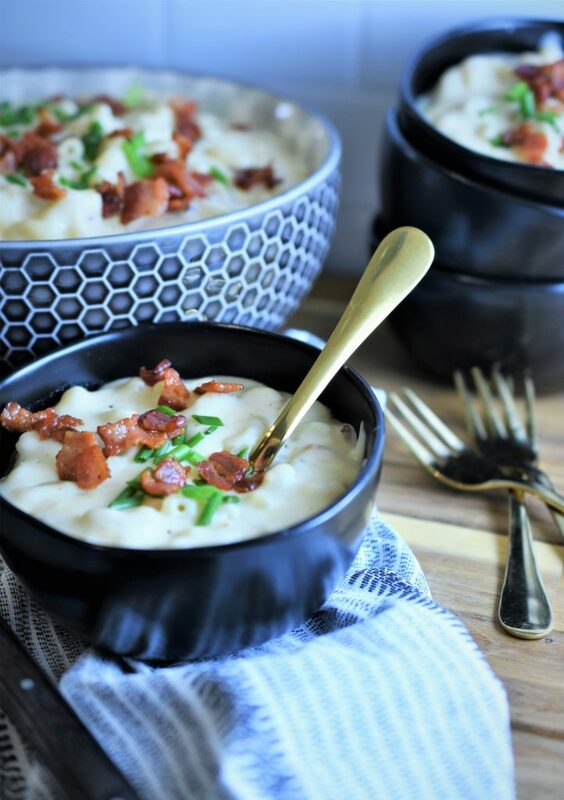 Elevate the comfort food factor to the highest…well, at least two bowls up! 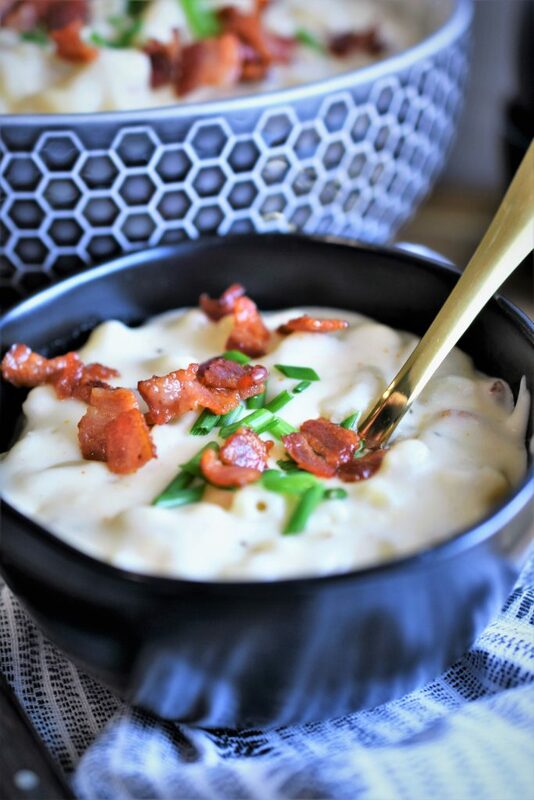 The smoked Gouda brings a new depth to this American favorite and adding bacon only proves that you can improve on a classic. Warm the milk in a microwave safe bowl or large glass measuring bowl for a few minutes, set aside. Whisk in the flour, dry mustard, salt, black pepper and cayenne pepper and cook until smooth and bubbling for 3 minutes.